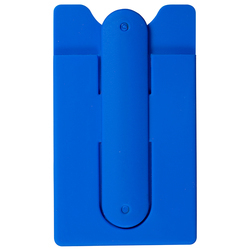 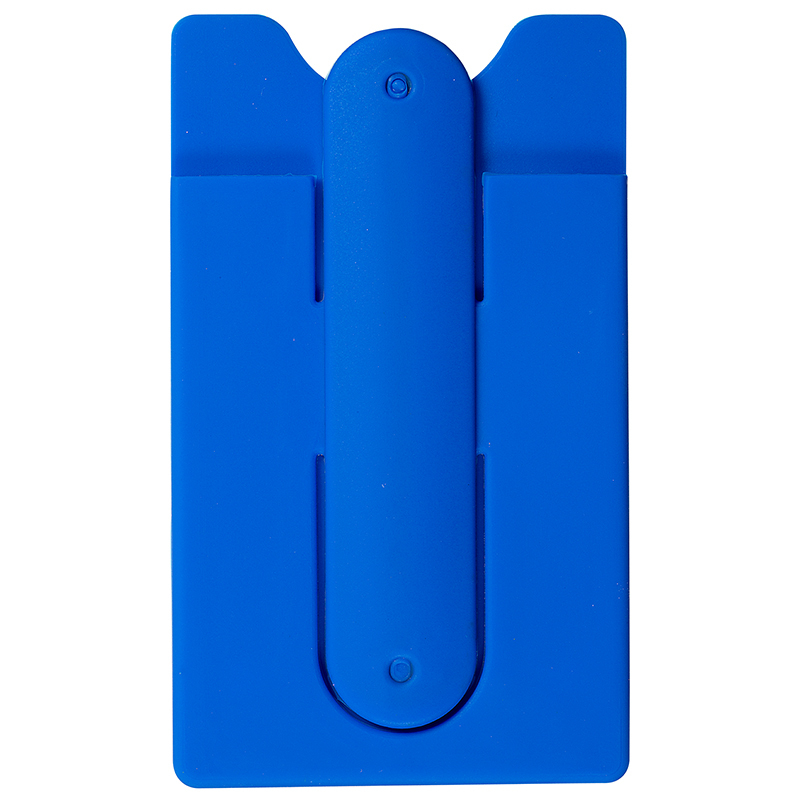 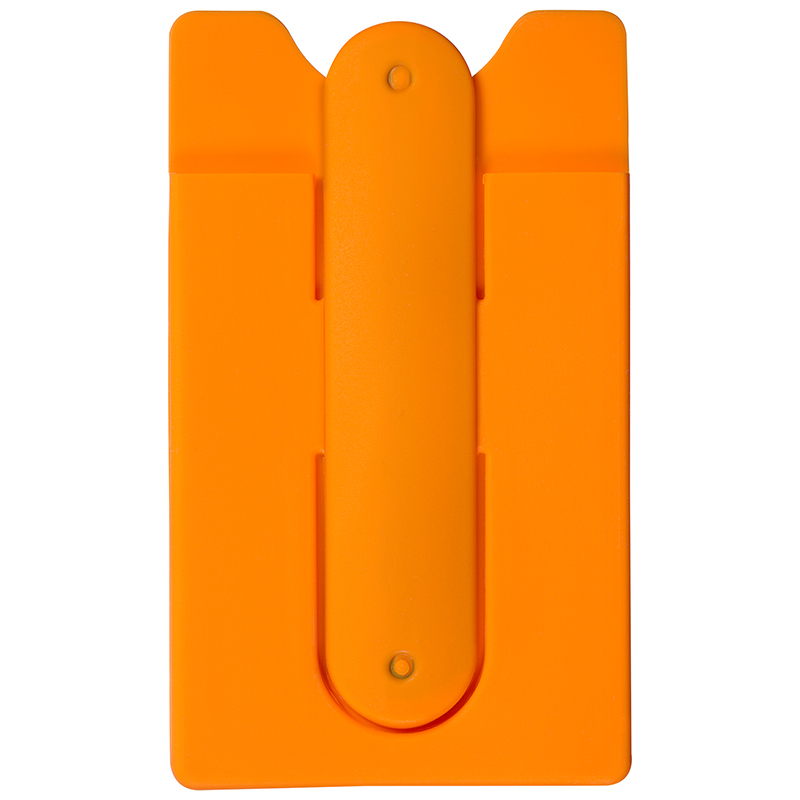 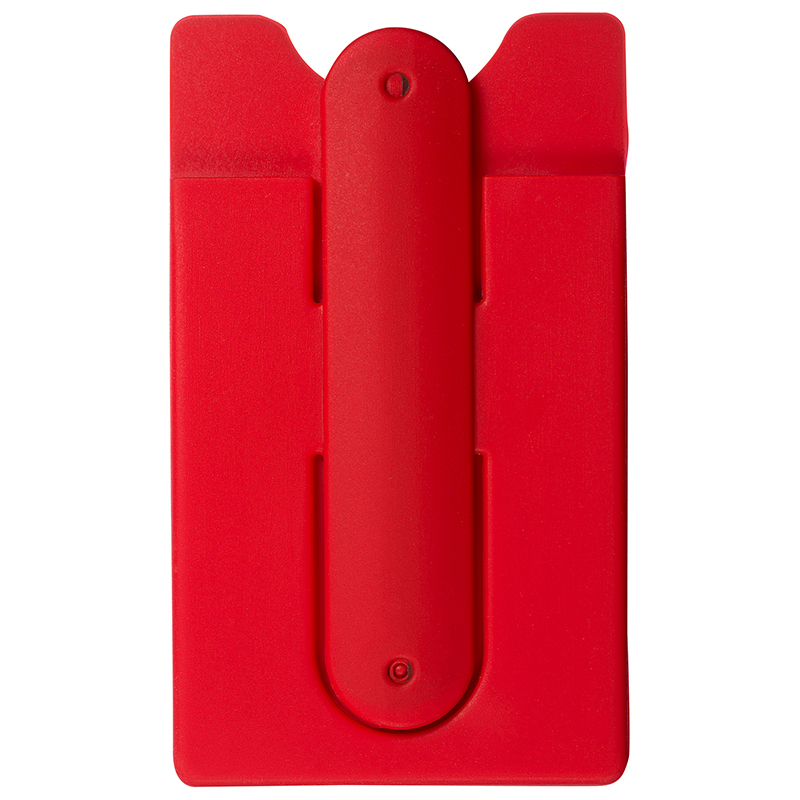 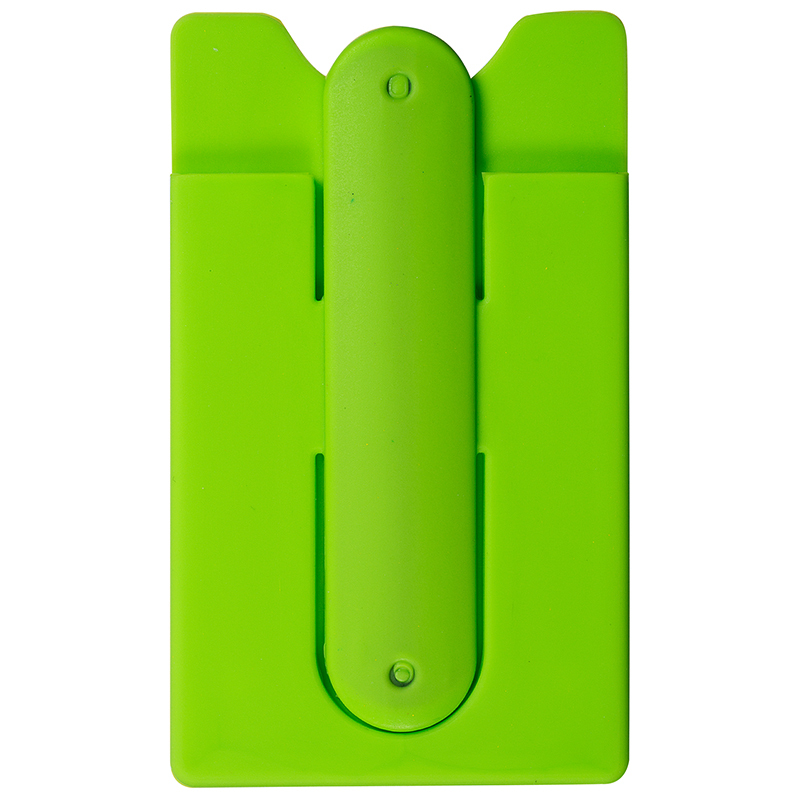 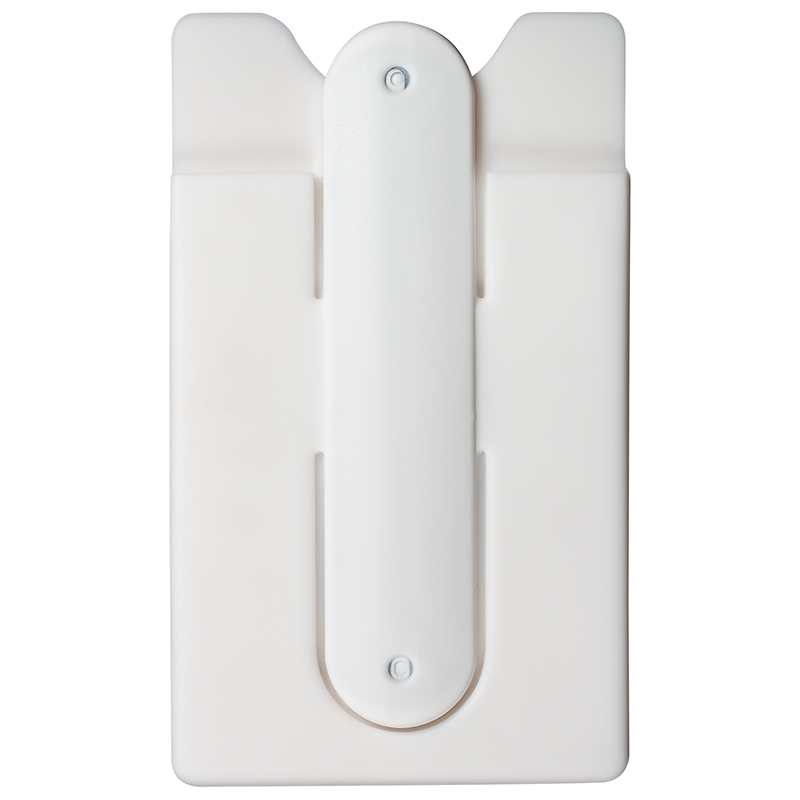 Silicone pocket with one-touch instant stand snap. Removable adhesive sticks to the back of cell phone or your mobile device. Holds credit cards, driver's license, business cards, stylus, coins or other small personal items.